Jenny, one of the new ARKers, working RTTY for the first time. The weekend of September 29-30, we worked a couple of hours of the CQ WW RTTY contest. Due to some poor luck we lost both our 80 m and 160 m dipoles over the summer, so we decided that we would just work casually during the day. Due to the new regulation (which allows an unlicensed operator to work contacts – if supervised by a licensee) we also wanted to use the opportunity to familiarize some of our new members with RTTY and other digital modes. Another goal was to get a proper setup going, so that we might gain some experience on how to improve our chances in future RTTY contests. We decided to run in the Multi-Single category, with one station working as Run and another working Mult. The Run station was composed of our Flex-6500 and Maestro front panel paired with the Acom 1000 amp. Over the weekend we learned that the Flex is an amazing radio for working RTTY. The panadapter allows you to see all signals that you are able to work, making it superb at both RIT work and interleaving Single Operator 2 VFO (SO2V) QSOs using a second or even third/fourth slice receiver (slice is FlexRadios nomenclature for their parallel receiver). On the software side the Flex is a little tedious to set up for RTTY, but once you get the hang of it is a very strong tool. For rig number two, we used IC-756 Pro III and a Digikeyer for setting up the RTTY. We didn’t work all that many QSOs using station two, but it was nice to have something to fiddle with while assisting new members on the Run station. 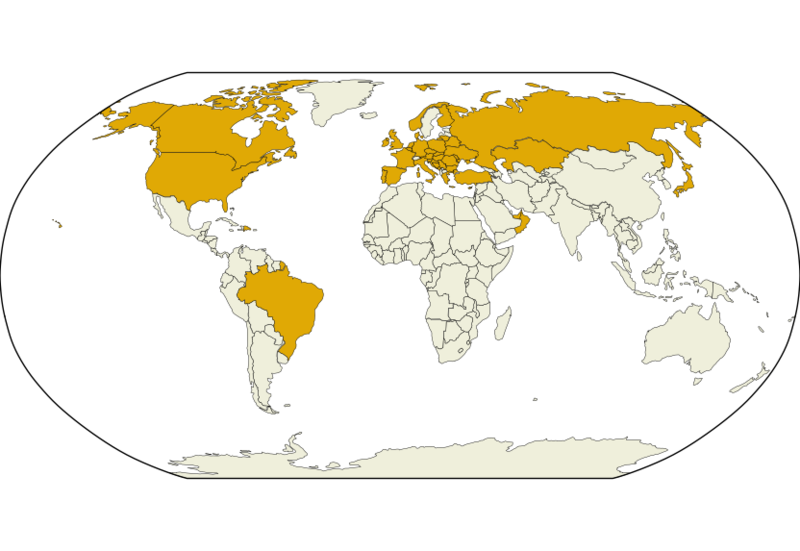 DXCCs worked are marked in orange. We worked mostly on 20 m, part of it was because the conditions were best there. Another motivation was that there were preparations for a Saturday concert in Klubben, which we did not want to interfere with. Openings towards Europe, Asia and America were all good, but we didn’t get to work Oceania and the Antarctica this time. We worked a lot of DX on 20 m and 15 m, actually only DX on 15 m, and a few European contacts on 40 m.
RTTY contests are often characterized by high QSO rates. To get a better view of how we did in the periods we worked, we calculated the number of QSOs per hour at every point in time. We also divided it into the operators contributing to the overall rate, which is a nice visualizer for the the activity throughout the contest. The rates were a bit slow this time, but we were only working casually after all. LB5DH was the rate winner, with a rate to close to 60 QSOs per hour in the start of the contest. During the periods we worked, the conditions were quite good, but we still had some trouble meeting a satisfactory rate. 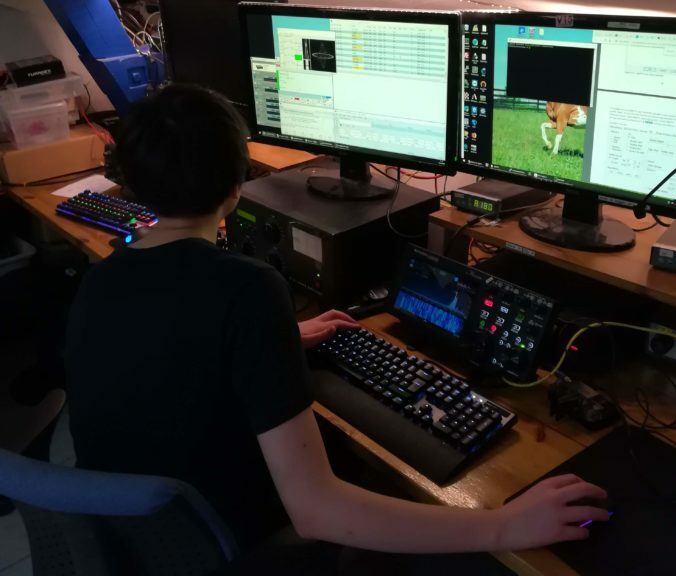 This was partly because we took our time, and tried to introduce some new members to working RTTY, but much of it was also because of weaknesses in our setup. One thing that we learned was that next time we will use more than one RTTY decoder per slice. We used MMTTY this time, and it is a good tool, but when decoding weak signals you need all the help you can get. We wasted a lot of time when weak stations started calling, spending three to four cycles to complete one exchange. This could be better if we combined more decoders in parallel to give us better chances of decoding all we need in a single cycle. Another thing to improve our rate is to get better at interleaving SO2V QSOs. In the end we had a lot of fun, learned something new, and ended up with a total of 400 QSOs from 45 different DXCC entities. 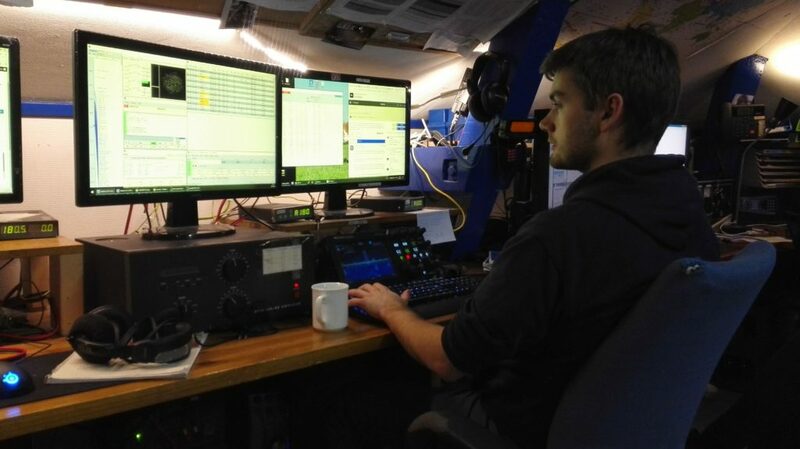 Thanks to Jenny, LB2AI, LB5DH, LB5QG and LB1MH for their time during the RTTY weekend.